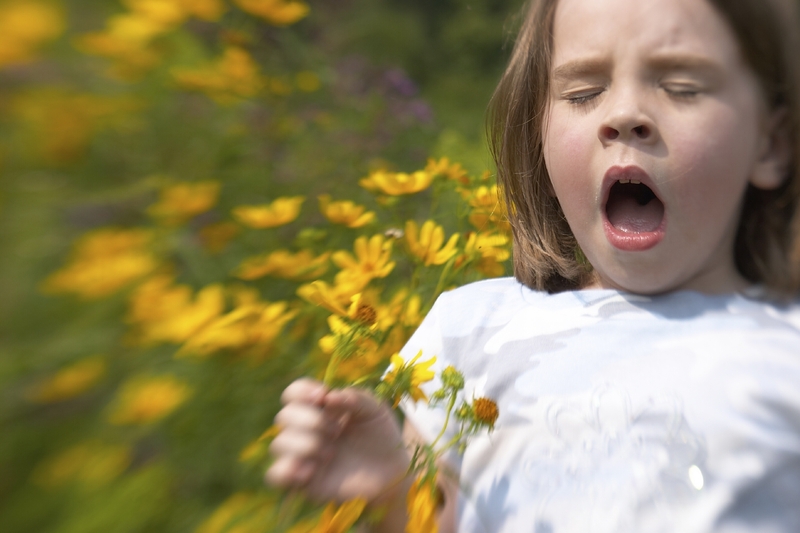 No need to panic and run to the pharmacy for those over-the-counter drugs to remedy your pollen-driven allergy symptoms. Nature has a remedy for everything it has created! Instead look inside your kitchen, or make a quick trip to your local natural food market. Here are my favorite natural cures. 1. Organic Local Honey – We all know by now that honey has amazing anti-bacterial benefits, but did you know that it also acts as a very delicious and highly efficient antihistamine? While those local bees were busy pollinating, they were also ingesting the anti-dote to those histamines that would eventually tickle your nose, throat, and cause your watery eyes. In a study of 169 children afflicted by Spring allergies, as posted on WebMd, local honey beat out commercial pharmaceutical brands. So a big kudos to those clever little bees! Way to get the consumption of local, organic honey elevated. Raw, creamed honey is my favorite. 2. Probiotics – Increasing your intake of probiotic during allergy season seems to be a very smart idea, not only for the digestive tract but for easing those itchy, sneezy, congestion symptoms. I recommend skipping the dairy, as it will cause excess mucus in the digestive tract. Instead, load up on natural Probiotic Supplements containing Acidophilus, Lactobacillus and Bifidobacterium, and add more fermented foods to containing live-cultures to your diet, like sauerkraut, miso, pickles, kimchi, and kombucha. Non-dairy yogurt options are also great for kids, like the SO Coconut Milk or Almond Milk dessert-like creamy alternatives. 3. Digestive Enzymes – The combination of natural Papaian and Bromelain, often sold as a chewable duo in natural food stores, will not only make your tummy feel great after a heavy meal, but it will also alleviate those allergic symptoms. You can go straight to the source and eat pineapple which contains bromelain, or papaya. Malic acid, which derives from apple pectin is also great at breaking down all that stuff, easing digestion while cleaning your pearly whites. A teaspoon of Bragg’s Apple Cider Vinegar will do wonders for your health and digestion (including acid reflux! ), keeping your immune system in tip-top shape. I love the combination of Bromelain and Turmeric in the NOW Natural Gate supplement – since turmeric is highly effective for inflammation. 4. 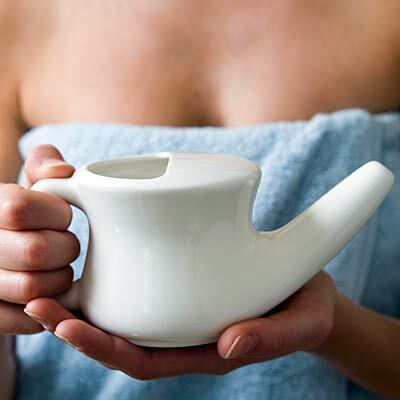 Neti Pot with Saline Solution – It makes perfect sense to flush those congested nasal passages with naturally salted warm water. This is probably one of the healthiest things for your respiratory system and immunity, and it will work wonders during the cold and flu season of the winter months. 5. Goldenseal and Butterbur – These two amazing herbal supplements have been used for inflammation and allergy relief for centuries, possibly for millennia! Native indigenous people knew how to keep allergies and disease at bay, so when in doubt look to the earth and to our ancestors.